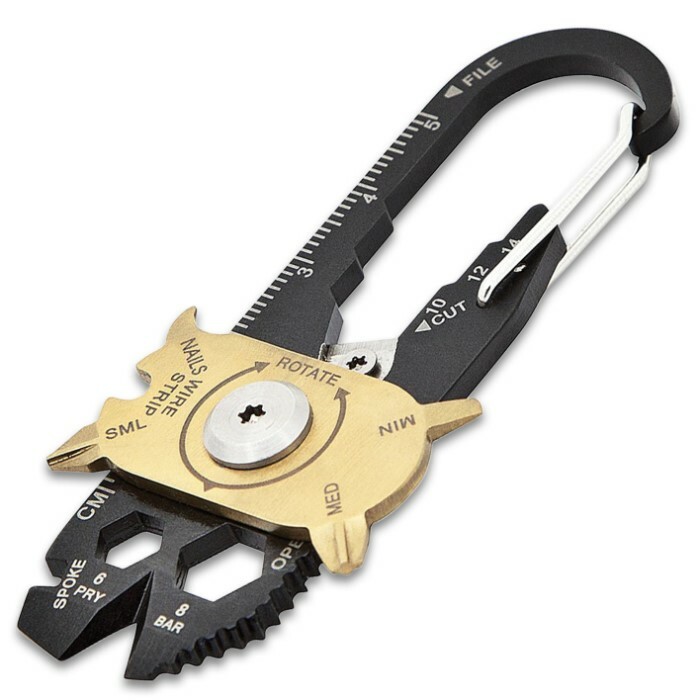 SHTF 20-In-1 Multi-Tool EDC With Carabiner Quick Release Clip - Various Sized Wrenches And Screwdrivers, Blade, Ruler, File | BUDK.com - Knives & Swords At The Lowest Prices! 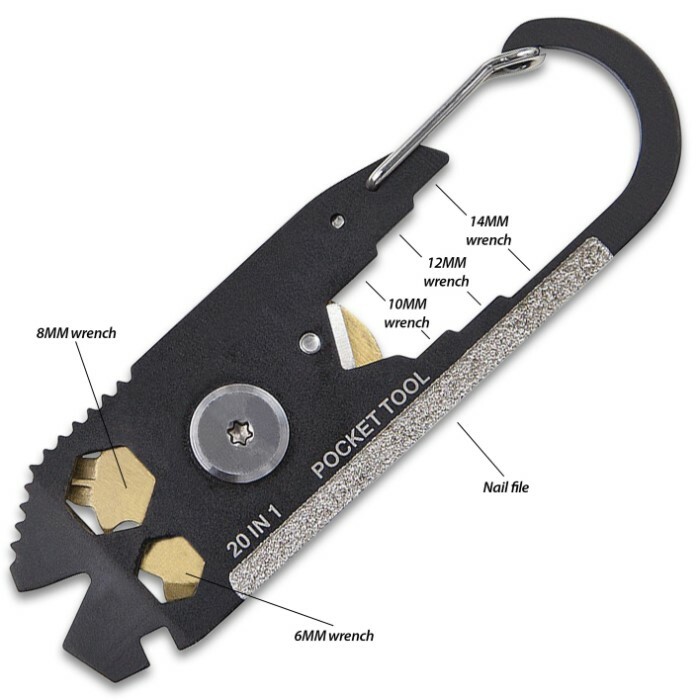 The SHTF 20-In-1 Multi-Tool EDC Keychain gives you an easy, portable solution for all your everyday tools. 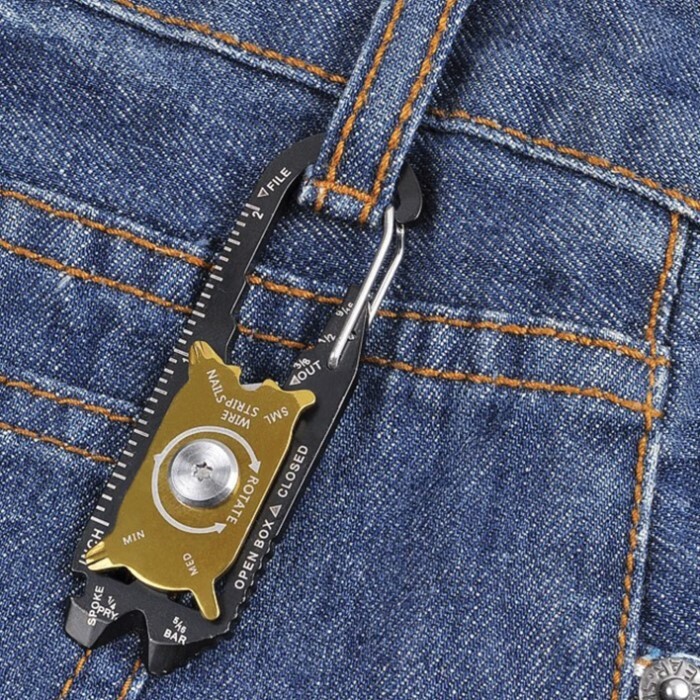 It is equipped with 20 different tools combined into one multi-tool with a revolving disc, which allows tools to be exposed while in use, so they are never in the way when you don’t need them. 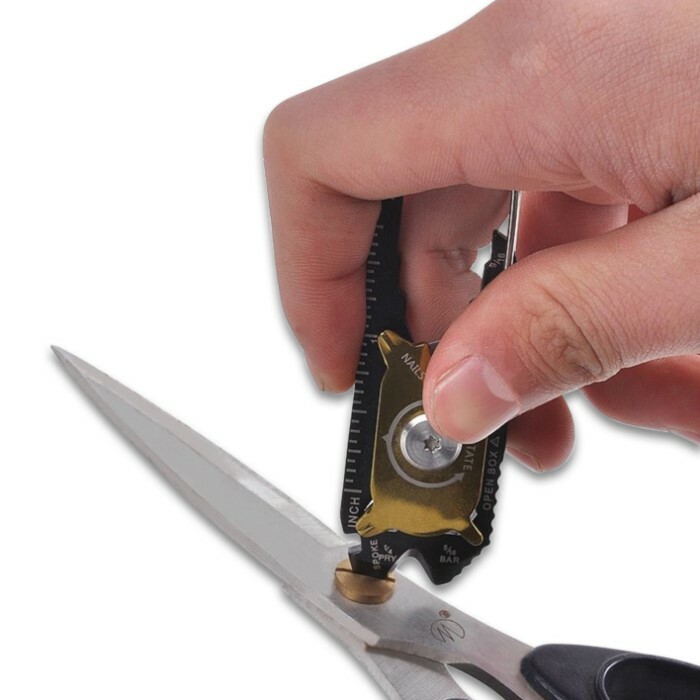 It is designed with 420 grade black stainless steel for a sleek look and the rotating tool disk is coated in gold titanium. 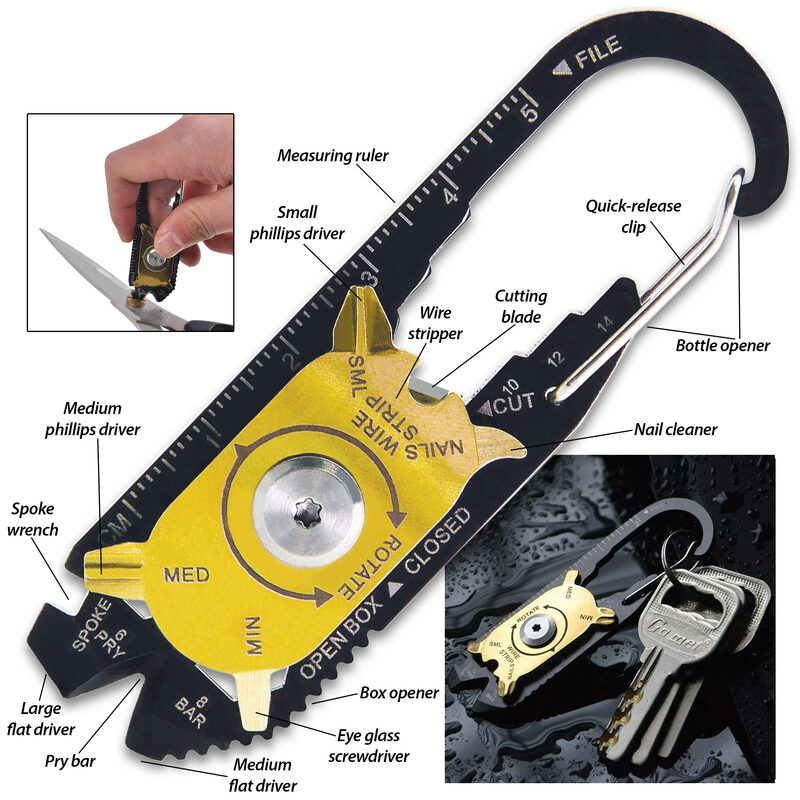 The tools include a bottle opener, cutting blade, pry bar, wire stripper, nail cleaner, box opener, large flat driver, medium flat driver, eyeglass screwdriver, medium Phillips screwdriver, small Phillips screwdriver, bicycle spoke wrench, measuring ruler, 1/4" wrench, 5/6" wrench, 3/8" wrench, 1/2" wrench, and a 9/16" wrench. 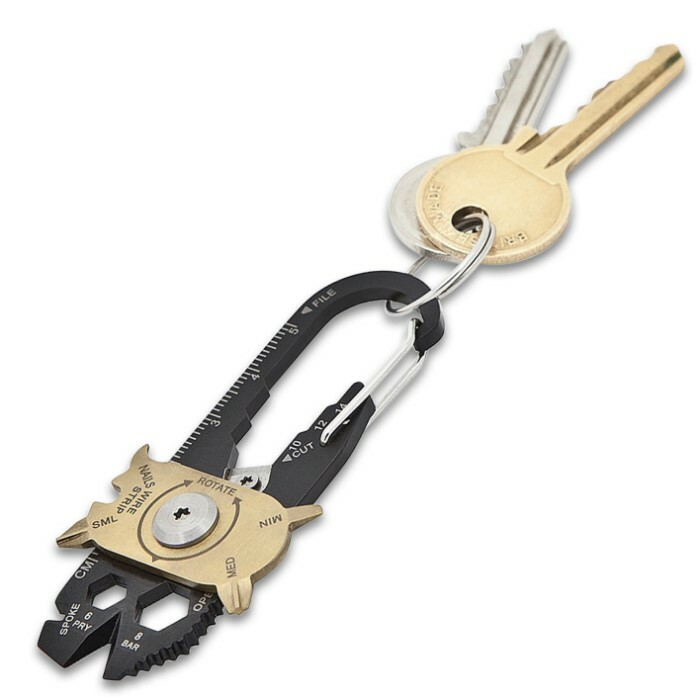 The quick release clip carabiner gives you plenty of carry options and its compact size lets you carry it anywhere.